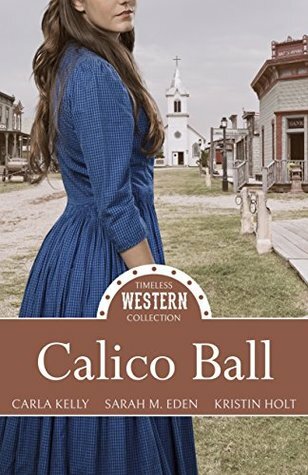 I knew that calico was a popular fabric to use in the Old West for work dresses and such, but I had never heard of a Calico Ball, where the ladies sew a dress from calico to wear to the dance, then donate it afterwards to a group in need. These three stories are so different from each other even with the common theme, and I enjoyed each one. The western setting is a favorite of mine, and I loved the historical details and sweet romance. Carla Kelly's story has a dry humor and wit that enhanced the relationship that blossomed between Mary and Blade. Mary's point of view was interesting as an descendant of an esteemed Eastern Native American, yet endured prejudice and bigotry outside the protection of her family and community. I loved Blade and his frank candor, compassion, and support. 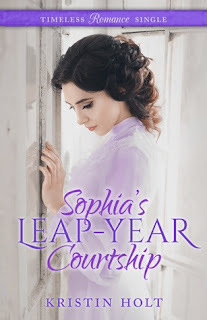 Sarah M. Eden's story also has a subtle humor that made me smile, and I always love a good marriage of convenience story! Kristin Holt's story was unique with her two dentists that seem to be at odds, until they realize that they can accomplish so much more working together. A great collection of novellas and I can't wait for more! 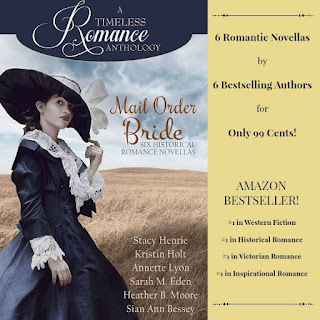 Only 99 cents for A Timeless Romance Anthology: Mail Order Bride Collection! For a collection of stories with such a specific theme, I was amazed by how individual and unique each plot is! 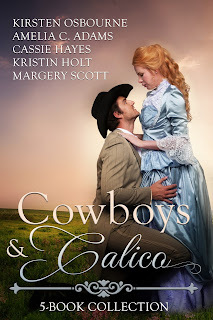 What they had in common is well-developed characters, a vibrant setting, an unexpected twist on the theme, sweet romance, and a satisfying conclusion. In a novella collection usually just two or three stories stand out as my favorites, but I can honestly say that I absolutely enjoyed each of these stories equally. I loved reading about the uncertainty and anxiety of each situation that leads at least one member of the couple to take desperate measures to hopefully improve their circumstances. The blind faith it would take to be willing to make a life with someone you barely know astounds me, but loneliness, the desire for love, protection or just companionship compels the characters to move forward and trust that there is the potential for a better life waiting as long as they can work for it. The romantic moments were built up to which made me want to savor them. 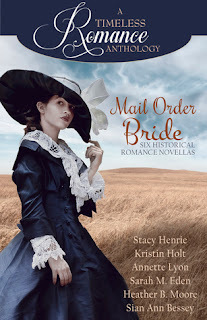 This is one of my favorite Timeless Romance collections and I highly recommend it!